The q screen panel is joined by special guest Jay Baruchel to talk about TV characters who meet an untimely end. Every Monday, the q screen panel convenes to look at big stories happening in the film and television worlds. This week, arts and entertainment writers, John Semley and Tina Hassannia, are joined by special guest Jay Baruchel to discuss TV characters who met an untimely end. 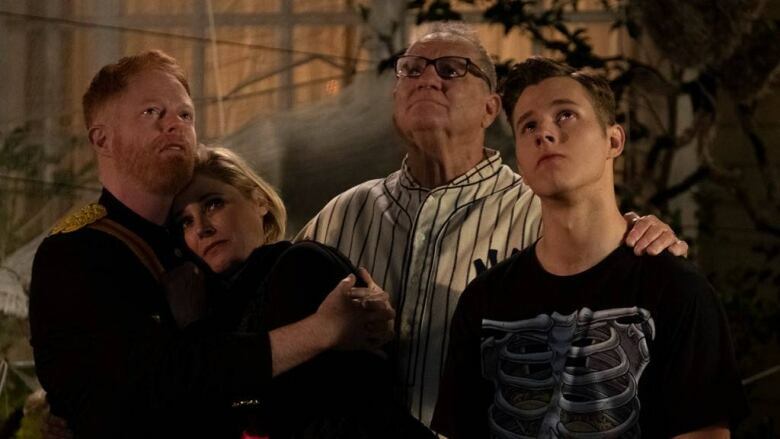 Recently the wildly popular sitcom Modern Family lost a character, which upset fans — but not for the reasons you might think.